Any group of Positions can be created (and if it is named, it will be saved for later use). Ex. If Location-specific Position names have been used, you can create Position Groups that include only the Positions for one location. 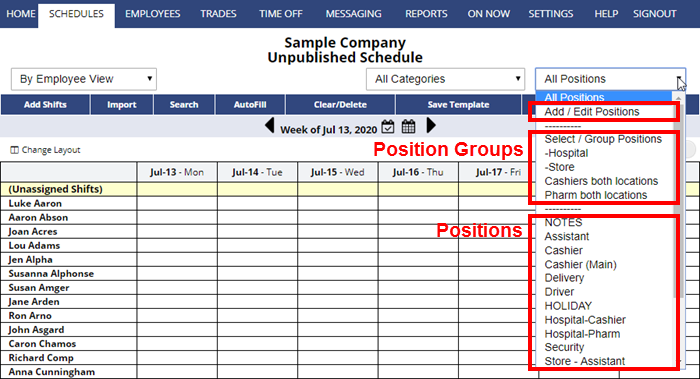 These Groups can be created as a one time view or if you give the group of selected Positions a name, you can quickly use that Group again. Named Position Groups appear in the Position dropdown menu above the list of Positions.